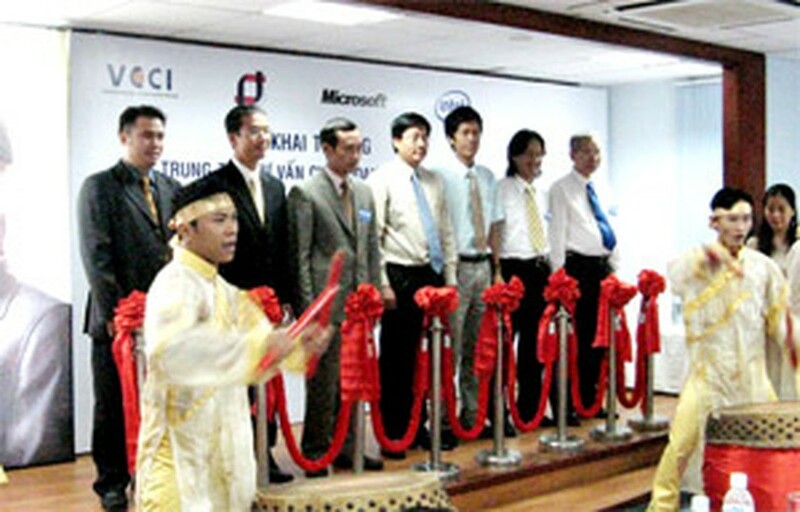 The Vietnamese Small and Medium Business IT Center (SMBITC) was inaugurated in Ho Chi Minh City Thursday. The center will provide assistance to local small and medium businesses (SMBs) in gaining access to modern and high-quality information and communications technology (ICT) resources necessary to international integration. The center will provide services and consultations to increase SMBs’ business competitiveness. The center is a collaboration between Intel Viet Nam, Viet Nam Chamber of Commerce and Industry (VCCI) and the Ho Chi Minh IT Company (Netsoft). SMBITC is set to become an information hub to help regulate the supply and demand of ICT product and services in the local business community. The centre will provide consultation services (either direct or via telephone and email or online support at www.itb.vn or www.itb.com.vn), on-demand ICT databases and resources, E- learning services for training on using advanced ICT technologies. The center aims to make Vietnamese SMBs more efficient, and competitive overall. SMBITC offers a showroom where ICT providers or business owners can demonstrate and test different IT products before making investment decisions. “SMBs today need strong business solutions and hands-on consultations to help them expand, compete and win,” said Thieu Phuong Nam, Sales Manager for Intel Viet Nam and Indochina. Additionally, VCCI has just taken up a project called “Supporting SMBs in IT Applications for Integration and Development from 2005 – 2010.” The project, assigned by the Government in 2005 will provide software and IT technical support to the businesses. Other partners in the SMBITC project include Microsoft, Viet Nam Data Communication Company (VDC) and two local Intel’s Premier Providers of Khai Tri and Nguyen Hoang companies. The center is located at 83 Nguyen Dinh Chieu Street, District 3, Ho Chi Minh City.